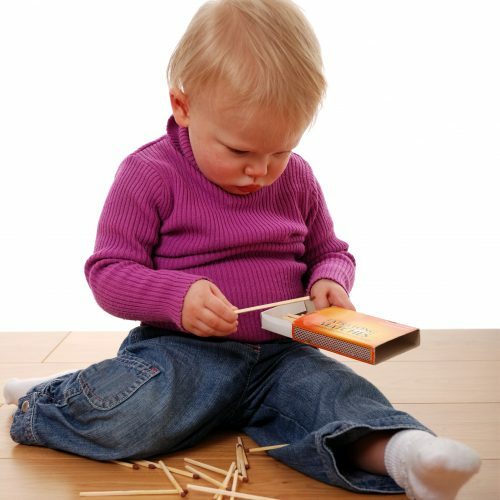 Distraction is a popular “redirection” tactic for dealing with an infant or toddler’s undesirable behavior. Its appeal is understandable, because it’s about aiming a child to another activity rather than confronting an issue directly. It helps us dodge the bullet of our child’s resistance, which might include anger, tears or a total meltdown (and we’re all eager to avoid those things, especially in public). So, I may save my sofa in the nick of time, but my child has no idea that drawing on it is not okay, and he or she may very well try it again. Well, at least there are no tears, and I’m still the good guy! 1) Phoniness. I don’t like acting perky and upbeat when I’m really a little annoyed. Besides making me feel like a big phony, I don’t think it’s good modeling or healthy for my relationship with my children. As uncomfortable as it is to face the music (or markers on the sofa), I believe children deserve and need an honest response. No, we shouldn’t react angrily if we can possibly help it, but we don’t have to perform or be inauthentic either. Staying calm and giving a simple correction and a real choice (like “You can draw on paper or find something else to do.”) is all that’s needed. Yes, the child may get upset — he has a right to his conflicting opinion and his feelings. It’s good for him to vent and for us to acknowledge, “You really wanted to draw on the sofa and I wouldn’t let you.” Children are capable of experiencing these kinds of safe, age-appropriate conflicts. Which brings me to my second objection to distraction…. 2) Wastes opportunities to learn from conflict. Our children need practice handling safe disagreements with us and with peers. 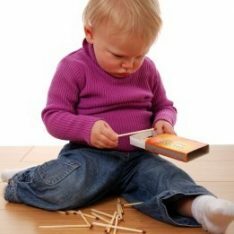 When our infant or toddler is struggling with a peer over a toy and we immediately suggest, “Oh, look at this cool toy over here…,” we rob them of a valuable opportunity to learn how to manage conflicts themselves. Directing our child to another identical toy, if there is one, might be helpful if children seem really stuck, but even then the infant or young toddler usually wants the one that has ‘heat’ in another child’s hands. Often the children are far more interested in understanding the struggle than they are in the particular toy. But whatever their focus, young children need time and our confidence in them to learn to resolve conflicts rather than avoiding them. 3) No guidance. What does a child learn when we direct him to draw a silly face rather than just telling him we can’t let him draw on the sofa? Infants and toddlers need us to help them understand the house rules, and eventually internalize our expectations and values. Distraction erases the possibility of a teachable moment instead of helping children benefit from it. Even if I agreed about children having short attention spans, which I don’t (see video), distracting them from what they are engaged in seems a sure fire way to make them even shorter. On the other hand, children who aren’t used to distraction don’t buy it. They can’t be fooled, coaxed or lured away from marking up the sofa (unfortunately). Encouraged to be fully present and aware, they need a straight answer, and they deserve one. An aware child may be less convenient sometimes (when we can’t trick him or her with sleight of hand, “Oops, the cell phone disappeared, here’s a fun rattle instead!”), but awareness and attentiveness are essential to learning and will serve children well throughout their life. How distraction can be construed as discipline is beyond me, but more importantly –would you distract an adult in the middle of a disagreement and direct her to mop up the floor? Then why treat a younger person like a fool? I believe that we can trust babies to choose where to invest their emotional energy. Only babies know what they are working on and figuring out. Breathe first. Pause and observe, unless there is a marker making contact with our sofa or a fist making contact with our toddler’s buddy’s head, in which case we quickly take hold of the hands and/or markers as gently as possible. But then we breathe. Be fully available to respond with comfort if the child wants it. Dealing with these situations openly with patience, empathy and honesty — braving a child’s tears and accepting temporary ‘bad guy’ status — is the path to a loving relationship, trust and respect. This, believe it or not, is real quality time. In case you noticed (and even if you didn’t), this is a revised version of my previously published post 5 Reasons Toddlers Don’t Need Redirection. I took note of the objections several readers had expressed to my use of the term ‘redirection’ and decided to change some of the wording, though the message remains the same. Thanks to those who redirected *me* (and contributed to a very lively 150+ comment discussion). I hope this clears up the confusion. I always love what you write and I think this post is spot-on. I certainly do as you suggest in most situations – the only caveat is that I have 2 year old boy twins. They are constantly exhibiting the typical toddler behaviors you describe with each other (stealing toys, etc) so our house is like a combat zone a lot of the time. (Note – They never act like this with other kids or at their co-op playgroup.) It’s hard to do as you suggest 100% of the time. Honestly, I feel like the boys themselves also need an emotional break from the constant battles – I know I sure do. So distraction seems to be one tool in our arsenal, but not the go-to. What do you think? Do you have any guidance for families with multiples? Hi Jessi! All the advice I share applies to multiples and other groups of children. Is it possible that the battles are constant because of your responses to them? I would allow toy “stealing” between two year olds (twins, especially) and not perceive that negatively. Remember that they only just learning how to play “together” at this age. Our tense responses and interventions tend to increase the intensity of the rivalry. So, I would let a lot of this go, while acknowledging what you see (if you’re there), “You’re both holding onto that…”, etc. Thanks for your corroboration, Rick! Hi Keely! Several ECE professionals have asked me about a print button. I’m going to look into that with my webmaster. This is soooo good, Janet. In fact, it’s something I’ve thought about a lot lately. Redirection absolutely abandons those teachable moments. I don’t want to raise my kids to be like me and avoid confrontation at all costs. Instead, I want them to find resolution that is genuine. Thank you for so many wonderful pieces of wisdom! Thank you, Katie! I’m so glad you agree. While I completely agree with the reasons you give, I disagree that there isn’t a place for redirection/distraction as well, in the right circumstances. We should not, as you say, use it as trickery, or avoid giving guidance, etc. I agree that we need to be clear about the problem, speak directly and honestly and respect their intelligence. All these points are very important in teaching your child. However, AFTER all those things have been done there can be place for redirection. As a father of a child with aspergers, who is also highly intelligent, I always speak openly and honestly when dealing with him. However after doing this redirection can be in order. Dealing with a child with autism spectrum disorders brings additional issues into play. The redirection isn’t too avoid addressing the issue, take the easy way out, etc. It’s to help them refocus themselves and lower their stress levels. With my son, once he has refocused and de-stressed we can talk further about the initial issue if required, and sometimes he will even return to the topic himself. Children on the spectrum, even though some are highly intelligent, cannot always process things logically at a given point in time. Afterwards they often can. Congratulations on a good article though. When I saw the title I expected not to agree with it, however I did agree with pretty much all it said. Distraction as describe in the article is certainly not constructive or beneficial for the child. In other circumstances it can be applied though, but not as a substitute for the methods you promote. Sounds like you have a very good handle on this, BTK. Thanks for sharing your approach. We took our child from the outlet on the wall to the table with books, that was a good moment to use distraction–explaining the whole time that the outlet is a danger and not a toy. This is how we redirect–if our child is doing something inappropriate, an explanation is always given for and distraction is used only when in imminent danger. Markers on a sofa are hardly a cause for alarm and definitely need not be distracted from–but an explanation of what places are appropriate for art work are in place. I really appreciate your blog and guidance so we can raise healthy kids! Thank you for sharing. I really enjoy your posts as they always give me something to think about. I was wondering if you see any place for distraction with children? I used to take kids on holiday. On the first night away a five year old girl was upset. She said her eyes were sore and she couldn’t see. The member of staff dealing with her gave lots of sympathy etc but this caused her to get worse and half an hour later she was hysterical and wanting to go home. We’d established there was nothing wrong with her eyes. I took her downstairs and we sat at the kitchen table. She was crying and I started drawing. Quite quickly she noticed what I was doing, asked to join in and 10mins layer she was happy to go back to bed. I was reminded about this today. My 10month old son who’s not well was tired at the end of the day, not happy being picked up, not happy being down and generally having a moan. He hears the door, in walks Dad and he’s all smiles and happy again until bedtime. I realise there’s a bit more to it, but essentially both examples are distraction. I think adults also use this technique but we might call it ‘taking your mind off things’. You can add the honesty. ‘I know your eyes hurt but let’s play a game instead’ which might seem and sound a bit odd, but essentially you’re completely changing the topic or environment. Do you think there’s a place for this type of distraction? Thanks for your kind words, Sheena. I would consider the two examples you experienced “natural” distractions, because neither would have given the child the impression that you were invalidating his or her feelings, being impatient or avoidant. My take on the girl with the sore eyes is that she was sitting on some homesick feelings and you and the staff allowed her to express them completely. “Sympathy” tends to cause children to wallow… So, I prefer simply acknowledging, “Your eyes feel very sore… ouch”, and being supportive rather than too sympathetic (“oh, poor you, poor baby”). But regardless, it sounds like you gave her the space she needed… I think the drawing you did while she was crying was quite different than, “I know your eyes hurt but let’s play a game instead”. That example would make me feel your impatience and dismissal of my perspective and feelings. Children are extremely perceptive! stop treating baby’s like little adults, they are not. yes they are smart, but they do not have the brain capacity to do things that you are asking, just like teenagers brains are not able to comprehend all the social media venues they have at their fingertips. we only have our babies/toddlers once, enjoy them and stop letting them “figure things out” on their own, you are their parent and should be teaching them. your articles are ridiculous. How are we supposed to teach them, or expect them to turn into resourceful, independent, creative adults, if we don’t help them to develop their capacities for fully human interaction as children. Your comment sounds very dismissive, where I think you miss the point. Janet is not suggesting we not enjoy our children, or allow them to be babies while they are. However, they do need to learn skills like interacting gracefully with adults and other children, and this method is a respectful way of allowing them to do so. I think the current generation of teenagers who don’t know how to appropriately navigate the media and struggle with meaningful peer interactions is a result of lack of parental input and guidance from adults in these early formative years, when they are meant to learn human interaciton. Distracting them from every discomfort, squabble over a toy, boundary that parents must set, etc. is what leads them to have short attention spans, feel overly entitled, and pleasure-seek incessantly in the toddler years. You may wish to read “Simplicity Parenting” or “Hold on to Your Kids” by very well respected indviduals before discounting Janet’s posts as “ridiculous.” You may indeed change your mind. I’d be interested in your take on something I see as similar – problem solving. My three old has begun to get upset about certain things in life that don’t go his way. I notice that many adults in his life (sometimes including myself) want to “solve” his problems so that he stops being upset. For example, today my son was very upset because he left a book at his grandmother’s house. I started by saying “you are really upset. You want that book. I get sad too when I misplace things.” But as the crying didn’t abate, I found myself “solving” the problem by showing him a new book that I happened to have that he’d never seen before and he did stop crying. Do you think that is a form of distraction rather than just waiting for the crying to peter out on its own or taking some other action altogether? p.s., yes he was tired and needed a nap but his nap troubles are a whole other topic! What about redirection when a direct conflict is not desirable/appropriate? For example, I was with my toddler at the park yesterday, and when he turned his back on a toy he’d been enjoying, an older boy (3) decided to take it and play with it. It wasn’t clear that my son should have been able to continue, he had after all turned his back. But he was noticeably upset. I think he started to cry for the other toy, so I explained that the other boy was taking a turn, and suggested we go use the teeter totter, which he loves and he agreed happily. I didn’t know the other boy, and it seemed inappropriate to get in the middle. He was older, and much larger, so letting them work it out themselves didn’t seem appropriate either. What do you think? I hope I taught him (which comes up frequently), that some battles aren’t worth fighting, and that sometimes it makes sense to avoid a conflict in life – isn’t that true? It seems like the kind of thing people have to learn eventually! Hi, I like what you talk about in this article and a friend and I have been having a go at practicing it with our 14 + 15 month old babes. We’re wondering about what to do when it keeps on going in a relationship dynamic – ie. one baby is always taking things from the other. We let them play it out and the one baby does find ways of keeping things occasionally, or of passing things to the one who wants things, but we’ve been wondering if (and when) it’s appropriate to say anything so that they know sharing is a “good” quality, and always taking, not so much. Or if that’s not appropriate at this age, and if so is it ever a way of talking you’d encourage, and why? We are more of a non-redirection house too. Our particular kid has always been pretty easy to reason with and “not easy to pull the wool over his eyes”. Our problem comes in that daycare/preschool are heavy redirectors. In fact, redirection is the ONLY “consequence” permitted. So our kid hits another for example and is (what he sees) is rewarded for hitting by being given a toy to play with all by himself. Sigh. Kids aren’t stupid…they know that there’s no reason not to do something they want if they’re only “redirected” to something else equally engaging. Another wise and super helpful post, Janet. I especially loved the sentence: “Often the children are far more interested in understanding the struggle than they are in the particular toy.” This insight will help me be able to implement the RIE approach to conflict over toys. I just copied the sentence (with credit of course) in a handout I’m preparing for the parents in my parent-infant class on this topic. Now all I need is instruction on what to do when (using your sharing example above) the un-sharing resorts to hitting after all! I love the article, I can see where distractions are an incorrect way to do things. I have a quick question. What do you recommend for dealing with conflict resolution between two obstinate children? Often they are too emotionally distressed to understand explanation and they will continue squabbling over the toy. Even if you take away that toy from both children, as you suggest, they will bicker over every single toy from there on out. Since not all of the toys can be put away, what do you recommend? Sometimes distraction is not trickery…it’s just showing them another answer to their problem. But I see your point about this. I appreciate that you are providing a different perspective on something that is done so regularly among parents, however, I have do disagree. The reason I use “destruction” method (I would call it redirection) is because I want to wait until my child is at least 3 years old before I start give them reasons. If I have to say “no” to my toddler I always do so in moments of disrespect or when someone is being hurt. However, I do not believe that child can fully comprehend when we try to reason and they are not ready to process the reason as we see it. If I start explaining to my child that we do not draw on a couch because its expansive or because its not a piece of paper and just because we do not draw on furniture, or that it makes me sad I do not feel that child at this age can relate to other’s feelings and empathize with me when its not something they have experienced before. They haven’t own a couch, they didnt have to work hard for something and buy it, they may even have nt experienced a moment when someone breaks their toys. I use ANY moment I can as a learning opportunity to explain “why” still but I also realise the more often I say “no” instead of redirecting her the more she will feel that there are many restrictions in this world that she has to follow and she better be careful. I do not want my toddler to be careful. I want her to take risk, experiment, push boundaries. No matter how much we acknowledge their feelings and try to teach them, “no” is going to be “no” in their mind. 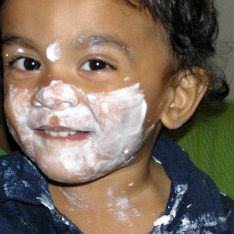 The more boundaries we put to toddlers the more resistance will grow, the more they will be acting out. However, I believe that once child turns 3 is when they are generally more capable to understand and take more responsibility for their actions. This is when parents need to use any opportunity to teach “why”. ‘I won’t let you’, ‘I said no’, ‘I can’t let you’, are statements underlying the behaviour is undesirable to the parent, and ceasing the negative activity is about servicing the parents’ needs. I don’t understand how this helps a child and doesn’t breed resentment or desire to challenge parental judgement more than occurs naturally (ie regular child/teen testing). Witnessing people struggle to get their kids to bed stating ‘you have to go bed, this is my time to relax/you can stay up when you are an adult too’ etc always seems futile. I say ‘yay it’s bedtime! Oh my goodness sleep is the best, there’s a whole other day to rest up for tomorrow! I’m excited to get to bed too’. Seems a lot smarter to me and none of my kids have every objected to bedtime. Let’s face it we parents are tired, wanting sleep is the truth. Do you see through momma’s words into her bleary eyes of exhaustion? Acknowledging the tantrum and their rationale behind and not dismissing is an interesting tactic I will now be more conscious of and am looking foward to. Making the tantrum all about acknowledging their needs then explaining their sadness/anger/frustration is because what they want doesnt service you seems contradictory though. I think there is a difference between redirection and distraction; they are not the same thing. You can acknowledge a behaviour and explain why it isn’t acceptable, and then redirect the child to something more appropriate. Distraction is just finding something else to do, with no attempt to teach the child about what is okay to do in various situations. Distraction can also sometimes reinforce the behaviour we don’t want, such as when a child is misbehaving in a store and a parent gives them a new toy or some candy so they’ll stop. That’s distraction, but it also teaches them that doing those things gets them fun stuff. Redirection won’t reinforce the poor behaviour and will hopefully teach more skills for dealing with different situations. May I respectfully offer another point of view? Children’s brains develop in a very interesting way. To begin with the only bit that works is the ‘reptilian’ brain. It basically has two modes which are ‘stand by’ and ‘danger’. Any perceived threat to danger is expressed as a baby as crying. As children grow, other parts of their brain start to function and they learn to use different parts of the brain. Toddlers are beginning to use other parts of the brain but they still primarily use their reptilian brain. So in response to any ‘danger’ they will exhibit a ‘flight’ ‘fright’ or ‘freeze’ response. Toddler tantrums are a combination of these responses and their frustrations at not being able to communicate or do what they want. Now is the time that they start to learn about rules. I have twin toddlers and without the ability to redirect their attention, I don’t think we could function on a daily basis. I have to add, that I wear glasses. I was wearing an inexpensive pair in between getting my eye glass prescription upgraded. Well, I had her overnight. While getting her dressed, (She’s a baby), I allowed her to touch my glasses. I even let her hold them. I had the camera rolling as she examined them. Then to our surprise, the glasses broke! Her expression was so funny as she was more dismayed than I. I let her hold them, and they accidentally broke. It was a funny moment for me to treasure with her! When I read the title, I thought I would not agree with what you have to say. But after reading your description, I realized that there must be parents who do take the easy way out and just distract the child every time there is a conflict. I think it is important to talk about “how to” use distraction successfully rather than completely avoid it. I think distraction when used with honesty and reason can also serves as a great way of modelling appropriate behavior. For example, if the my child wants a toy that other child is playing with I tell her that she has to wait for her turn. But after that, I have to use distraction to teach her that even if right now she thinks that its the most attractive toy, there will be other things that will interest her if she tries. So for that, I have to sound excited about some other toy and give her option. Most of the time it works but sometimes it doesn’t. When it doesn’t work, I just hold her and help her to express her feelings with words and try to tell her that she has to wait for her turn if she wants the toy! This is so true! Anytime my 2yr old son gets upset because he didn’t get his way, I acknowledge his feelings & he calms down & moves into something else. My partner even used it on our son the other day, when he was on daddy-duty by himself for a week while I was out of town on business. Our son wasn’t cooperating & wouldn’t get ready for bedtime. He was getting upset, & the more daddy tried to get him to go to bed, the more our son resisted. So, he took a step back, remembered that he needed to calm down (our children most definitely sense our emotions & emulate them). He acknowledged that our son was really tired & upset, & our son calmed down & went to sleep. It’s amazing. Thank you for all of your advice on parenting. I’ve learned so much! Treating our kids with respect, empathy & kindness, like we would with an adult, is so important. I see a huge difference in the way my son behaves & communicates with the world compared to most kids. I wish every parent would read your articles more. Thank you! I’m glad to have found this article. I feel the same. Though I need up losing a good friend over the debate. She wanted to understand my opinion but for the life of her couldn’t understand when I explained. As her friends ganged up on me I became so appalled with how disrespectfully we treat children. If you want an intelligent and strong child you need to treat them as intelligent and strong not dumb and foolish. I totally agree with this and generally do this. I’m struggling with my 3.5 yo right now because I feel like I’m saying we don’t do x,y, z all day long. It feels like our whole relationship are these moments. I’m losing my ability to be calm as well. I also find if I say we don’t do something it creates a “charge” and that’s all he wants to do e.g. shout on purpose to wake up his baby sister. I have been using distraction to try to avoid this counterwill scenario and also because I really need him to stop and I can’t make him. Not sure what to do in these scenarios. Any suggestions?